Whether you’re frustrated by hours of clean up, slowed by worn-out crews, or worried about flat profit, you understand that with the right tools and processes, your roofing business will break through to the next level. We’ve been there. 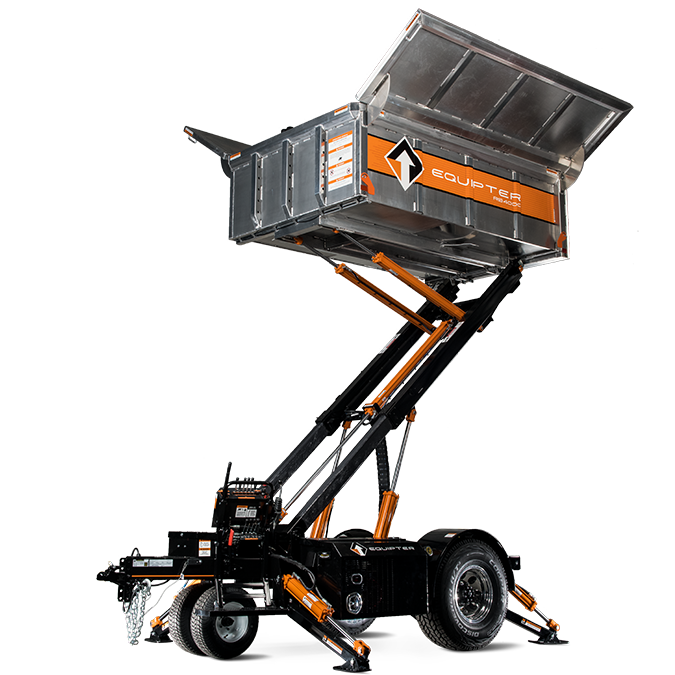 That’s what inspired us to design the Equipter RB4000, innovative debris management equipment that takes the mess out of roofing. The RB4000 runs on a 13-horsepower Honda engine that takes it virtually anywhere on a jobsite. 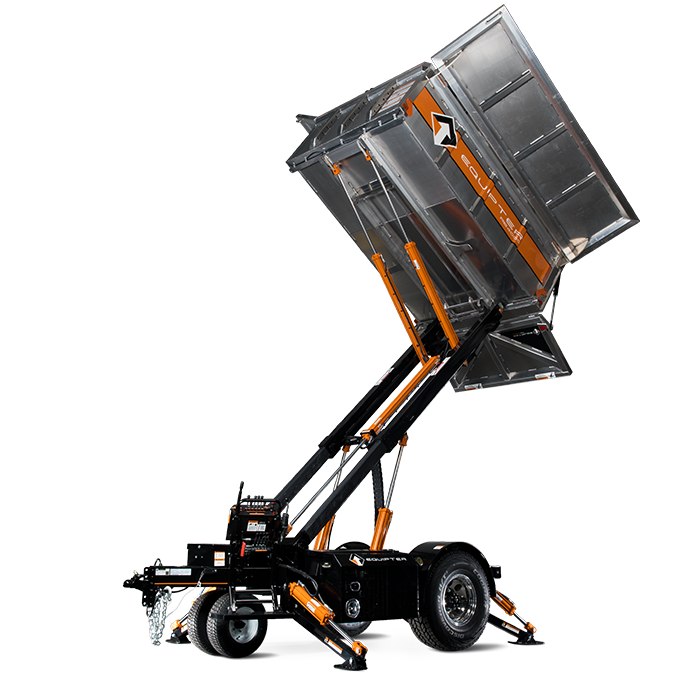 With a tight turning radius to navigate difficult spots and evenly distributed weight, it reduces the risk of property damage—and it won’t leave ruts in customers’ lawns. 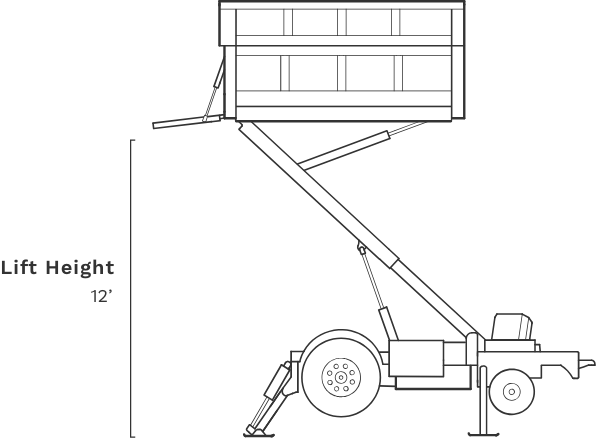 The RB4000’s 12-foot lift does the heavy lifting for you. 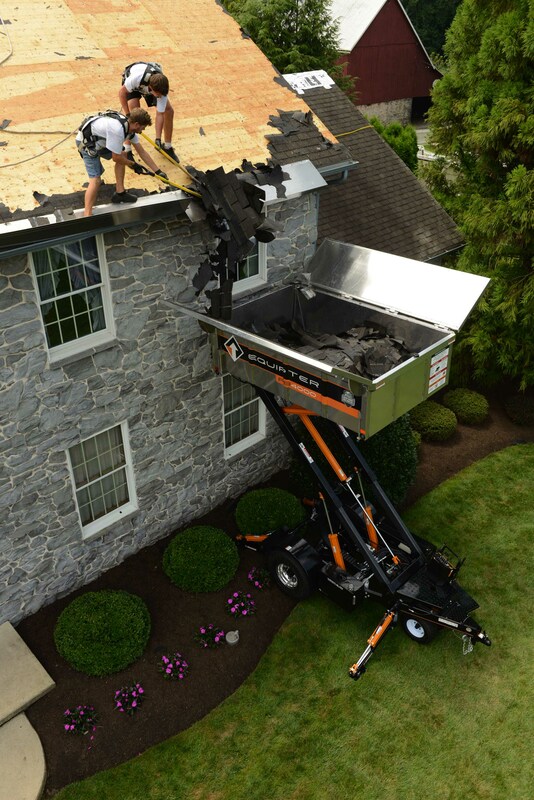 Whether you’re raising heavy tools to the roof or lowering two tons of shingles to the ground, this roofing equipment improves your efficiency and maintains a much cleaner jobsite. 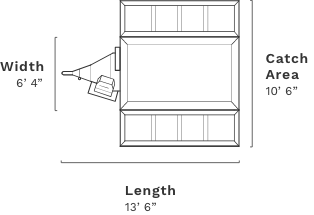 Lower the risk of property damage with its 4-foot roll-back feature, which allows you to position the container up and over customers’ flower beds, bushes, and other exterior features. 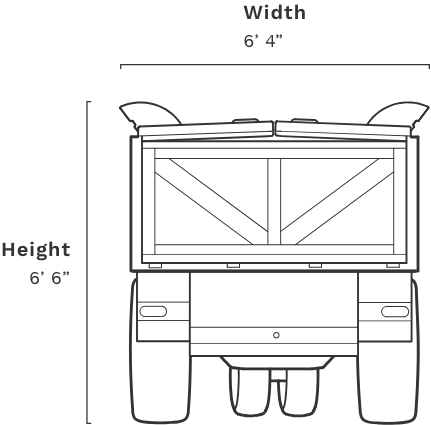 When the nearly 4,000-lb capacity container is full, position the RB4000 lift next to a trailer, truck, or dumpster under 12-feet high. 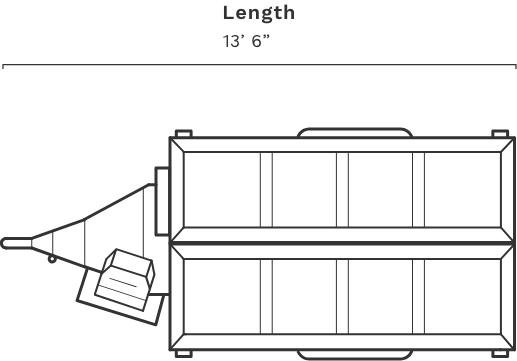 Then simply raise the container and unload it using the hydraulic tailgate. Satisfy customers and earn more referrals by using a smart debris management system that leads to fewer damages, like crushed Japanese maples or busted planters. 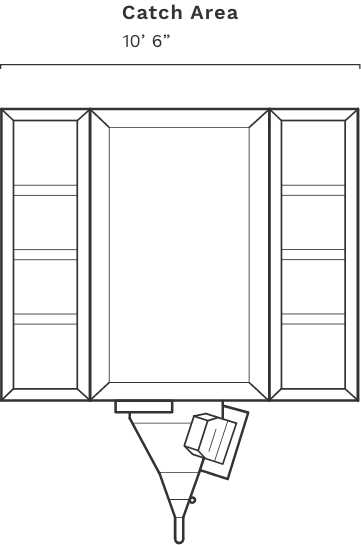 Homeowners also love that the RB4000 lift keeps their property looking tidy—not trashed. Tight labor markets make it tough to find the hardworking crews you need to succeed. 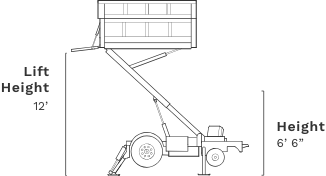 The RB4000 lift helps attract and retain quality roofers because it significantly reduces the backbreaking labor that wears workers down. Don’t spend more time dealing with roofing debris than you need to. 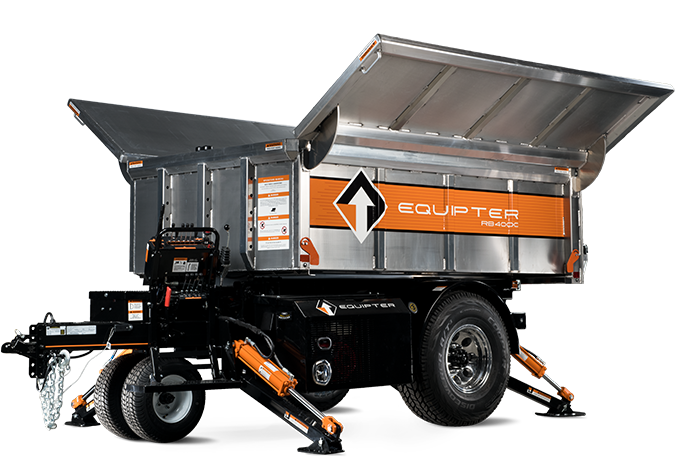 Equipter owners say it’s reduced cleanup time by up to 80%—savings that translate into increased capacity. When you complete more jobs and create highly satisfied customers, you can build a healthier bottom line for your business—and that lets you take better care of your family, employees, and community. 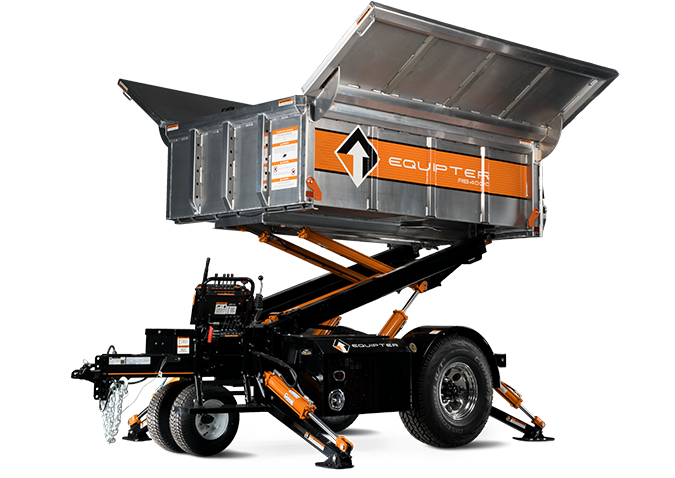 Cutting cleanup time and keeping crews fresher longer with an Equipter allows you to maximize productivity. Nearly 75% of RB4000 lift owners say it lets them complete at least two more jobs per month—27% say it’s enabled them to add 4-6 more jobs every month.